According to the following article, the time to buy is now! With spring approaching, interest rates low, and a great inventory of motivated sellers, now is a perfect time to contact a mortgage and real estate professional and explore your options. Among single, independent female purchasers, 35% said one of the best aspects of home ownership is having a yard or garden to enjoy. As home prices and some mortgage rates continued to fall this week, a survey showed almost two-thirds of Canadians think it's a homebuyer's market out there. According to the 16th Annual RBC Homeownership Survey, 27% of respondents said they intended to buy a home within the next two years. This is up from the 23% who said at this time last year that they would be taking the plunge - that's the biggest rise the survey has recorded since 2001. But some of the potential buyers may not have the patience to wait two years to sign a contract. Some 48% of the more than 2,000 respondents to the survey said they thought it made more sense to buy a home now rather than wait until next year. Younger survey respondents were even keener to buy. The survey reported that among under 35s, 48% planned to buy - a very significant rise on the 36% in 2008. Those still paying rent may also be eyeing falling interest rates and more affordable homes, as 38% of tenants said they planned to own a home within the next two years. "The current economic environment does not appear to have dampened Canadians' overall confidence in the housing market," said Karen Leggett, head of home equity financing at RBC Royal Bank, in a release. "Canadians continue to have an overwhelming belief in the long-term value of a home and we're seeing this in the buying intentions of many first-time homebuyers this year." In urban centres such as Toronto, those first-time buyers may have quite a few properties to choose from. "The market ... in particular over the last six months has improved noticeably for first-time buyers," said Phil Soper, president and CEO of Brookfield Real Estate Services (parent company of Royal LePage), in an interview. "The number of new properties typical first-time buyers would be searching for, particularly multiple-unit projects or condo projects, has increased; these projects are many years in the planning and now more and more of that product has come on to the market and prices have eased." According to Mr. Soper, the demographic of a typical first-time buyer looks somewhat different these days. "In years gone by, typically, first-time buyers were a family. An interesting twist in the nature of the first-time buyer profile is that that person increasingly is single," he says. "And they're typically female. Almost double the number of single women buy homes versus single men, and they buy them at a younger age." With this new buyer profile in mind, eager sellers may like to take a look at this week's TD Canada Trust Women and Home Ownership Poll to discover what women may be looking for in a home. According to the survey of 1,000 women who had purchased a home independently, 43% said the best thing about owning a home is financial security. "And since the poll shows that cost is the number one deciding factor, the lower housing prices and attractive mortgage rates we are experiencing mean this is a great time for women who have been planning to purchase a home to get into the market," said Joan Dal Bianco, vice-president, real estate secured lending, TD Canada Trust, in a release. Next after financial considerations, 35% of survey respondents said the best aspect of home ownership is having a backyard or garden, followed by 34% who rated simply having private space to enjoy some peace and quiet. However, while the respondents to the TD survey rated having a garden, they do not necessarily want to do the digging. A total of 28% of respondents said their top dislike was yard work and snow removal. The least favoured aspects of owning a home, however, were the cost of maintenance and repairs (43%) and the actual maintenance (42%). 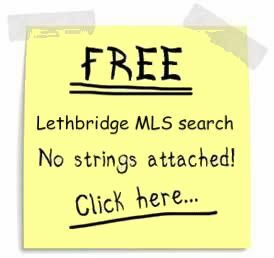 Here are a few of my favorite past articles from my Lethbridge real estate and mortgage blog you might have missed or wish to recommend them to a friend. What is wrong with MLS - Is your info being abused? Enjoyed this article? Please leave a comment, subscribe, add me, OR click the little red flag and feature it! Robert - I like the results of the survey. Women and first-time homebuyers are important market segments for our brokerage. Thankyou so much Ryan and Mary. I thought it was a catchy title, lol. Well I thought you where not happy but I was wrong. Really catchy title. Are you coming up next week for the meeting? I'm with you that women are a good target market for real estate. Down here in Seattle we'll be teaching a class specifically focused on women called, "Why Women Should Buy Real Estate". Given that many are delaying marriage and children it is a reasonable place for women to begin building their own financial security. Even if they do get married later on, the 1st home could either help be the nest egg toward a new marital home or perhaps a rental property for future income. Next weeks meeting should be a go for us, as long as Dan has an interesting guest on hand. Reba, I wouldnt mind designing some sort of seminar for women here, there used to be a few people doing them but hasnt been for a long time. Robert - You caught with the title and great post with some wonderful information. This ones for you Robert and all the Ladies! Robert after seeing your title I had to check this one out. We are seeing more single women contacting our office concerning buying. My sister had her own home before she married. It was a great investment for her. Robert! The title was perfect! This is a great time to buy, especially for single ladies. Thanks for the wonderful info! I have that 'all the single ladies' song running though my head for the past week now. It drives me crazy, over and over, ack! OK Robert, You got me with the title even though I'm happily married. Watch out for my next blog, looking for rich single men. Like it? Oh ya Marian, that would catch attention. Robert, very interesting post. Single women need to make smart investments and that includes buying a home rather than renting. Thanks for coming by Sharon. I will try to repay the visit by checking out your blog in the next day or two.